We encourage our students to fully engage in the process of liberal education. We encourage work across a broad range of elective courses in the arts and sciences so that psychology study is enriched by a diverse context of academic disciplines and ways of experiencing, enquiring into, and making sense of our world. Our students build skills in critical and creative thinking, effective reading, writing, and oral communication, research, and independent and collaborative problem-solving. In addition to teaching students in a wide range of psychology courses, members of our faculty have exciting programmes of research, often engaging both UPEI students and colleagues from across Canada and the world. Our faculty members include award-winning teachers and scholars, and people committed to service in the university and the broader community. Eighteen (18) semester courses (54 semester hours) in Psychology which must include Psychology 1010-1020, Psychology 2780-2790, Psychology 4800 (Honours Literature Review) and Psychology 4900 (Honours Thesis). Students pursuing a Bachelor of Arts degree with Honours in Psychology must complete all of the requirements for a BA with a major in Psychology. Students pursuing a Bachelor of Science degree with Honours in Psychology must complete all of the requirements for a BSc with a major in Psychology. To graduate with an Honours degree requires a total of 42-semester courses (126 semester hours). The Honours Thesis will consist of a paper written in the format specified by the Canadian Psychological Association. The thesis will most typically report a small research project, but other alternatives include: (a) a review paper that includes an original theoretical overview of the topic, or (b) a critique of the theory, research, or practice of psychology. The thesis is evaluated by a committee of at least three faculty members including the student’s supervisor. There is an oral defense of the thesis. The deadlines for Honours applications are September 1, January 3, and May 1 annually. NOTE 5: Psychology 4800 and 4900 are honors thesis courses and do not satisfy this requirement. Students considering whether to take 2780-2790 or 2510 are advised that many upper-level courses are open only to students who have completed 2780-2790. 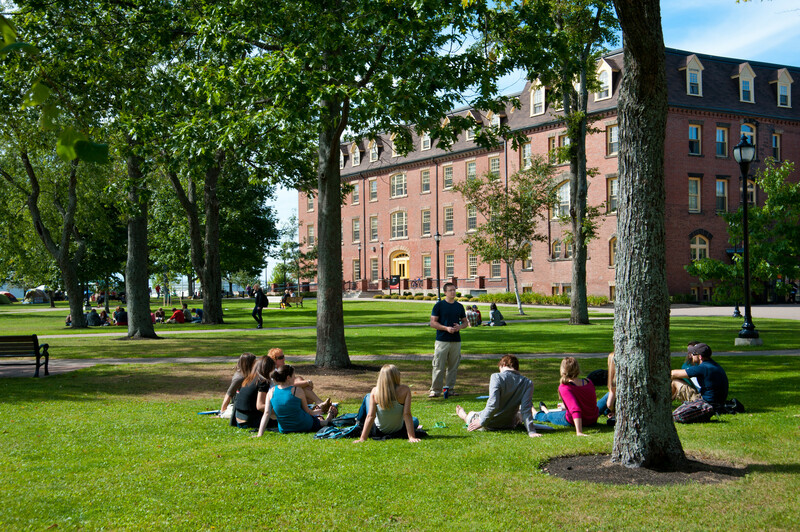 Students planning a minor, but wanting the option to change from a minor to a major in Psychology within the same degree, are advised that the major requires 2780-2790 and that 2510 does not count as one of the 14 Psychology courses required for a major (but would count as a non-Psychology elective for someone who becomes a major). Students completing a minor in Psychology complete at least seven Psychology courses, including the core courses, and including at least one course at the 3000- or 4000-level.